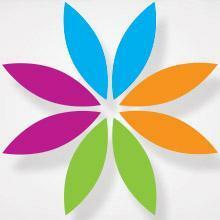 On Sunday July 20, 2014, the first annual free adult dental day – called Dentistry from the Heart - took place at the offices of Sheppard Village Dental - #208, 4651 Sheppard Avenue East, at McCowan. Over 60 patients were treated, at no cost, by 25 volunteers who coordinated and performed extractions, fillings and cleanings, as required. In all, over $16,000 of required dental services and procedures were provided at no charge. We are pleased to welcome our neighbourhood’s newest ‘quick food’ outlet – the Subway shop that recently opened in the heart of Sheppard East Village – at 4651 Sheppard Avenue East - on the southeast corner of McCowan Road. With lots of free parking and a menu with many delicious selections to choose from, the Subway staff looks forward to serving you soon. When you enter the north doors of ACI, you may notice a wall full of national and other music awards that have been won by the school’s outstanding choirs, bands and orchestras. You are invited to attend one of their 2014 spring concerts. The Junior Concert will take place on Tuesday May 6, at 7:00 p.m. The Senior Concert takes place on Wednesday May 7, also at 7:00 p.m.
For more information, call ACI at 416-396-6675. On March 26, the Chair and Executive Director of Sheppard East Village were pleased to serve as judges for this unique event at Agincourt Collegiate Institute. Three teams (over 100 students in total) each determined a theme, prepared a business plan & budget, developed, prepared and served a themed lunch, created a suitable lunch environment, prepared and delivered a speech about their theme and presented some interesting entertainment reflecting their theme – all under the direction of their teacher, Ms. Michailidis and Principal, Mr. Hu. We were delighted that Gold-Medal Winning Natalie Spooner was able to return to our area for an exciting community event on Saturday April 12. A key member of Canada’s Women’s Olympic Hockey team, Natalie was available for photos and autographs for all who attended. This exciting event also featured kids’ skills competitions and a lucky draw for 12 signed Team Canada jerseys – which raised much-needed funds for Natalie’s designated charity, the Breakfast Club of Canada. On April 16, SEV BIA members heard presentations from senior officials from Metrolinx, Go Transit and the TTC – regarding the current state of plans for the LRT service through the BIA, a proposed all-day GO Train service just west of the BIA and the Bloor-Danforth Subway extension that will end up at McCowan and Sheppard, in the middle of the BIA. A transit questionnaire will be issued to all SEV BIA members and the results will be shared with leaders at the federal, provincial and city levels of government – as a summary of the views of the members of SEV BIA. We are pleased to welcome and congratulate Emilio and his colleagues at the new Borsalino Dining Lounge that opened on March 24/14. They look forward to seeing you for lunches, dinners or special occasions, throughout the year. Borsalino features fine foods presented in a casual style – at reasonable prices. There is both an elegant dining room and a comfortable, separated pub area. This exciting addition to the practise of dentistry is only available in about 1% of the dental offices in Ontario - and it is available at Sheppard Village Dental (Suite 208, 4651 Sheppard Ave. East, at McCowan Road), in the heart of our BIA. A few of the many benefits of laser dentistry: it’s virtually pain-free; less need for freezing; less need for drilling; an essential part of excellent patient care in a modern dental office. As noted in the January 30/14 issue of the Scarborough Mirror, our local Mister Transmission shop ( 4900 Sheppard Avenue East, between McCowan and Markham Roads ) was the site of a ceremony at which one of their customers won the Company’s national contest. Ray Sanchez and Gus Katsavos, who manage and operate this Mister Transmission facility, were pleased to congratulate and provide long-time customer Arthur Whitty with his valuable prize – a free overhaul and repair of his vehicle’s transmission. 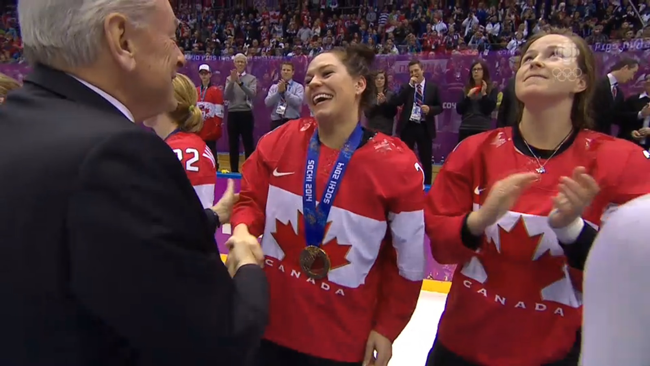 Team Canada forward Natalie Spooner receives her gold medal after Team Canada defeated USA in the finals of the 2014 Olympic Games.